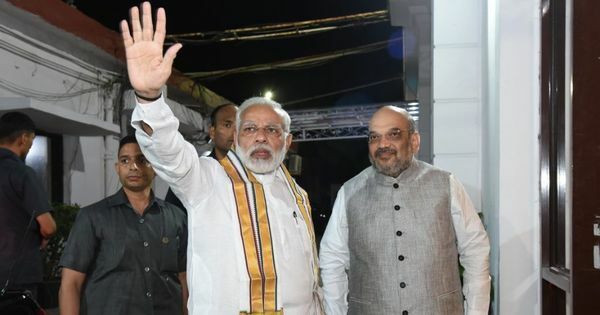 While there was a pamphlet campaign to shut down the event at which the 16-year-old was to perform, a top Assam cleric says there is no fatwa against it. 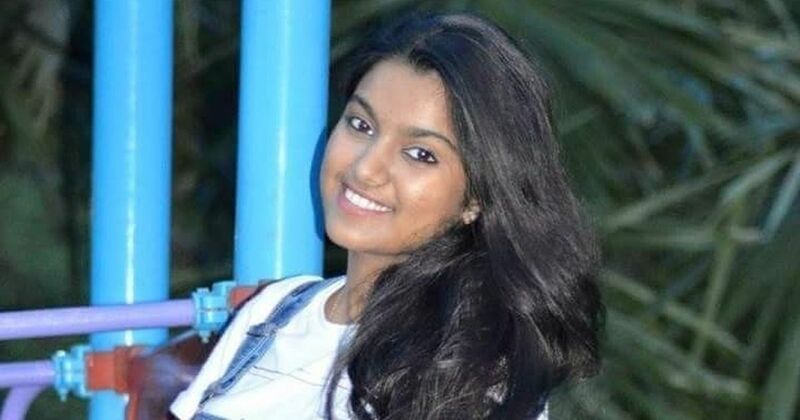 Nahid Afrin is an over-achiever by all standards. At 16, she has been a playback singer in a mainstream Bollywood film, finished second in the country’s most high-profile musical reality show and has won so many awards in singing competitions across the country that she doesn’t even bother to count them. Not that it is very consequential, but she also got promoted to Class 10 this year. So, when news broke that a fatwa had been issued against her by some 46 Muslim clerics, warning her to stop singing as it was “against the Sharia”, there was, understandably, an outrage. Enough outrage for even national news channels to take notice and Assam’s chief minister to tweet condemning the “fatwa” and assuring the young woman of his government’s commitment to protect her freedom of speech and safety. We strongly condemn putting restrictions on performance by young talented singer Nahid Afrin by some organisations. Freedom of artists are essence of democracy. Spoke to Nahid and reiterated our Govt's commitment to provide safety and security to artists. Even Taslima Nasreen tweeted out, expressing support and solidarity for Afrin. According to a report in the Times of India, the Assam Police was also looking to investigate an Islamic State angle to the episode. All extremely heartening, expect for that fact there may not have been a fatwa at all. 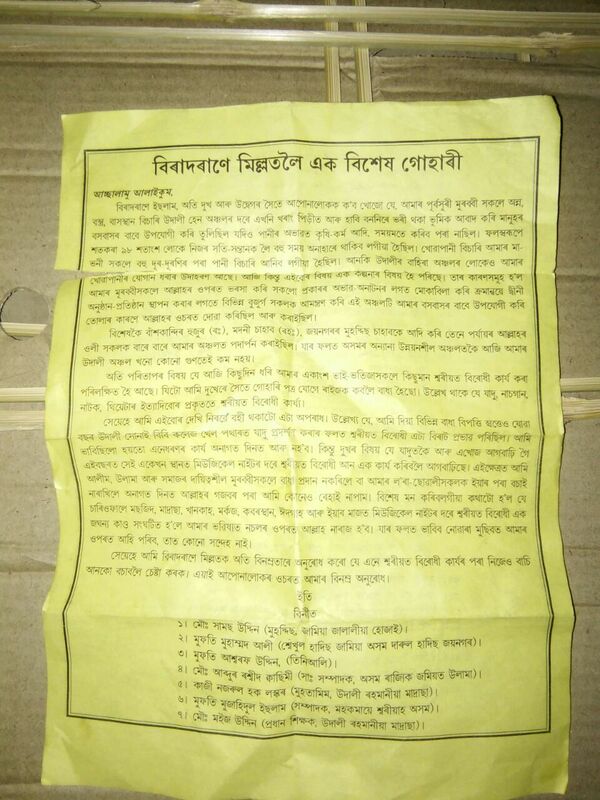 The primary evidence of the supposed fatwa is a leaflet signed by 46 Muslim men, which was distributed in the districts of Hojai and Nagaon. While the leaflet does categorically mention that the March 25 programme at Udali Sonai Bibi College in Lanka in Hojai district, where Afrin was scheduled to perform was “against the Sharia”, it does not as much as even mention Afrin’s name. The leaflet, which is headlined Guhari (translates into request/appeal), asks people not to attend the March 25 event. “If anti-Sharia acts like musical nights are held on grounds surrounded by masjids, idgahs, madrassas and graveyards, our future generations will attract the wrath of Allah,” it reads. Referring to a magic show that was recently held in the venue, the pamphlet proclaims that magic, drama, theatre, dance, etc. are intrinsically against Sharia. “If we don’t keep our children away from such things, Allah will not spare any of us,” it says. In context of the musical show that was to be held on March 25, the pamphlet warns that such an event so close to religious places would “definitely anger Allah”. “We humbly request you to restrain not only yourself from attending such an event but also encourage others to do the same,” it concludes. 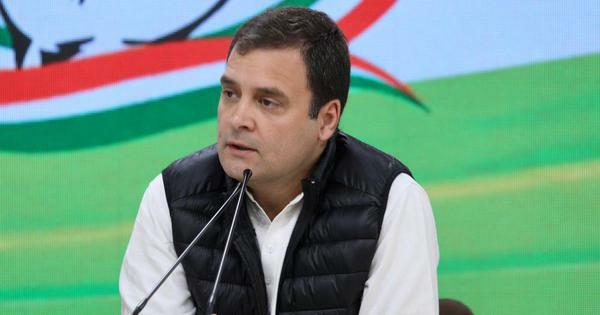 The 46 signatories of the pamphlet include office bearers of the Assam State Jamiat Ulama and teachers from various madrassas around the state. The venue in question, Qasimi said, was in close proximity to religious and educational institutes and there have been instances of people creating a ruckus during similar shows in the past. “The appeal simply states that people might as well avoid the event since there have been instances of people getting drunk and vitiating the atmosphere in the past,” he claimed. That may, however, not be strictly true. According to Afrin, a few local clerics had also objected to her participating in the reality show where she finished second. “They had dissuaded people from voting for me, saying it was a gunah [a crime] to do so as it was against the Sharia,” she said. While there is little doubt that Afrin has been at the receiving end of bigotry more than once as a result of her singing, the outrage about a fatwa appears misinformed at best. A TN man was arrested for posting abusive remarks about Modi in Facebook chat. Is this justified?